This is your opportunity to strut your stuff – and your chickens’ . of unique coops and their feathered inhabitants. Visit our 2014 Calendar to see what we’ve featured in the past. All our featured coops are photographed by Susan Seubert. 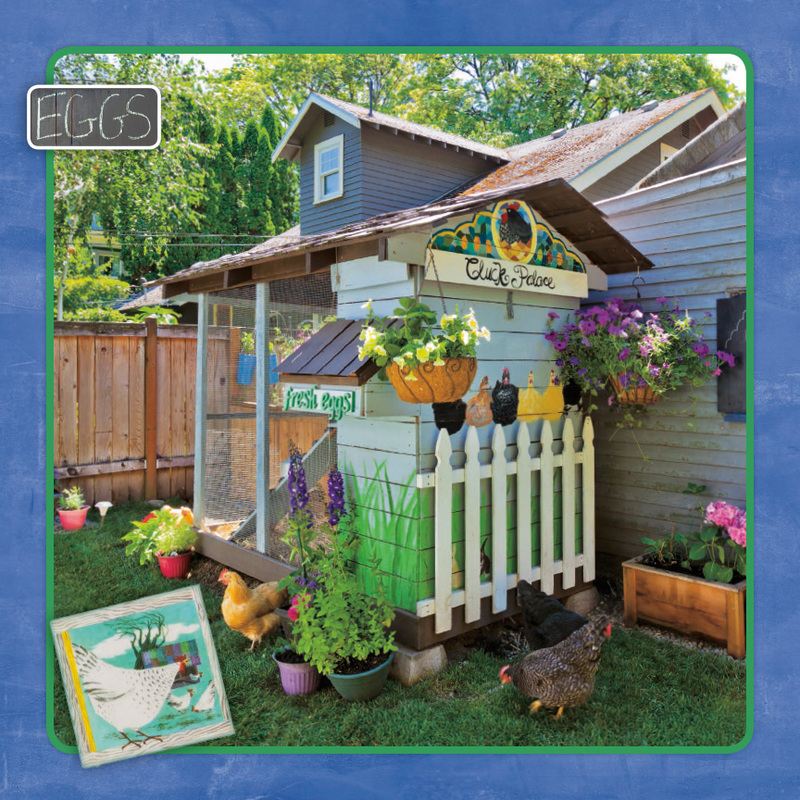 2015 City Chickens & their Coops wall calendar – The Dr. Seuss–inspired Coop provides ample opportunity for its ladies to lay green eggs (without the ham). Designed and built by Ken Gates. 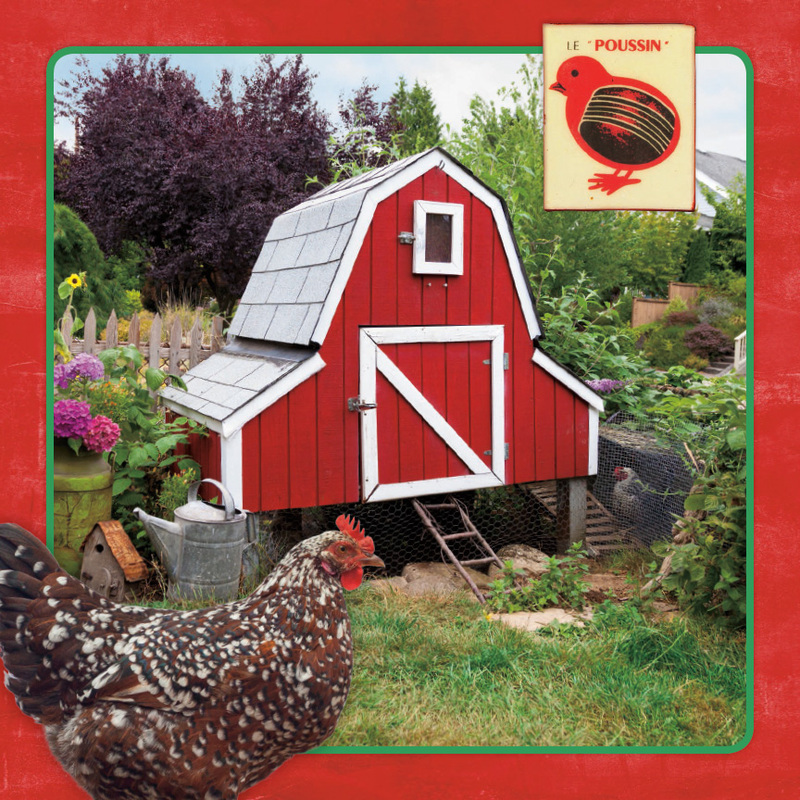 2015 City Chickens & their Coops wall calendar – February Coop – The Li’l Red Barn Coop is a little bit of country in the city. 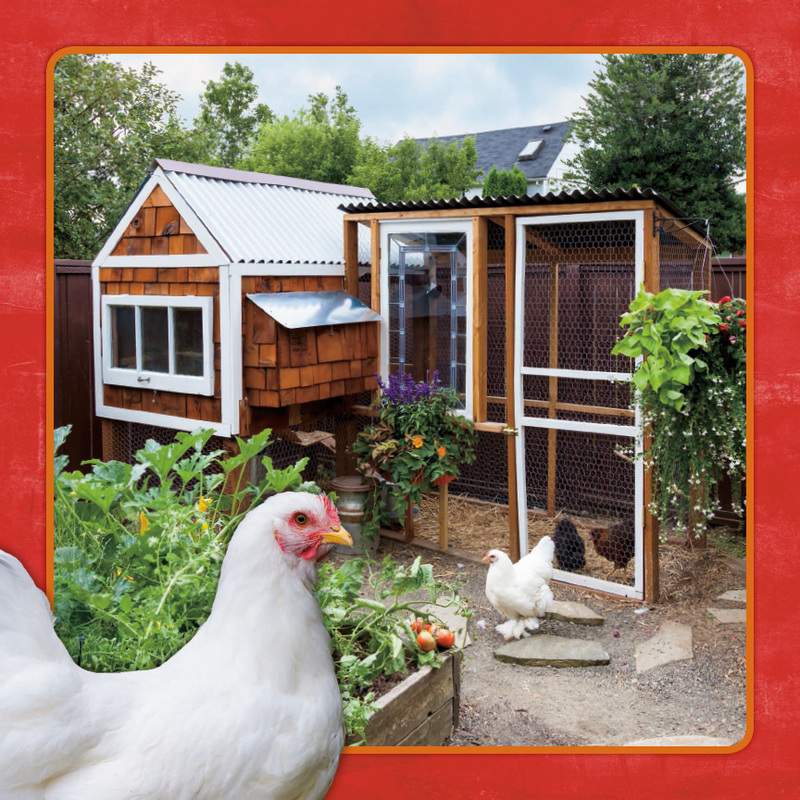 2015 City Chickens & their Coops wall calendar – November Coop – Inspired by surplus building materials and salvaged windows, this coop came to life as the best birthday present ever. and a bit of tin roof, this coop embodies the obsession with repurposing so popular in Portland, Oregon. This entry was posted in Kitchen & Gardening, Pets & Animals and tagged chickens, Coops, eggs, farm, hens, pet care, urban farming on March 10, 2014 by Amber Lotus Publishing. In support of urban farmers and locavore choices, we are excited about this new title. 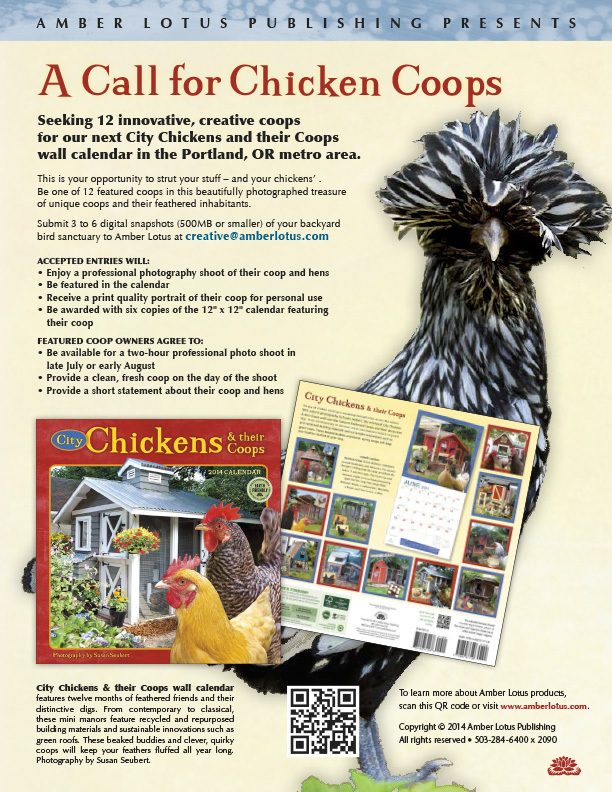 Submit your coop for the 2014 Calendar. 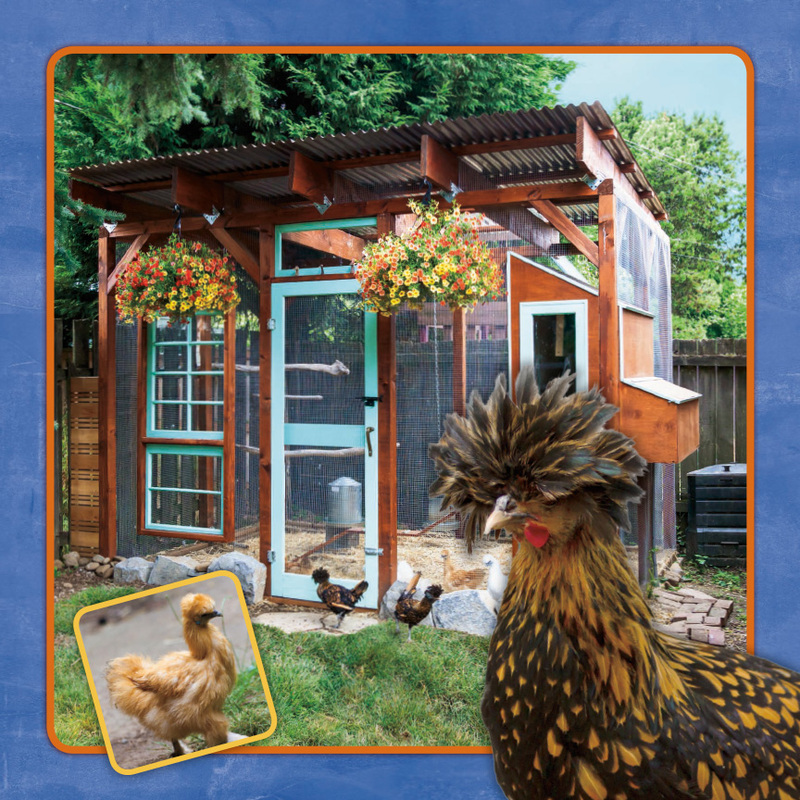 If you or someone you know has an innovative coop design in the Portland Metro area you would like featured in our 2014 Wall calendar, email images to creative@amberlotus.com. 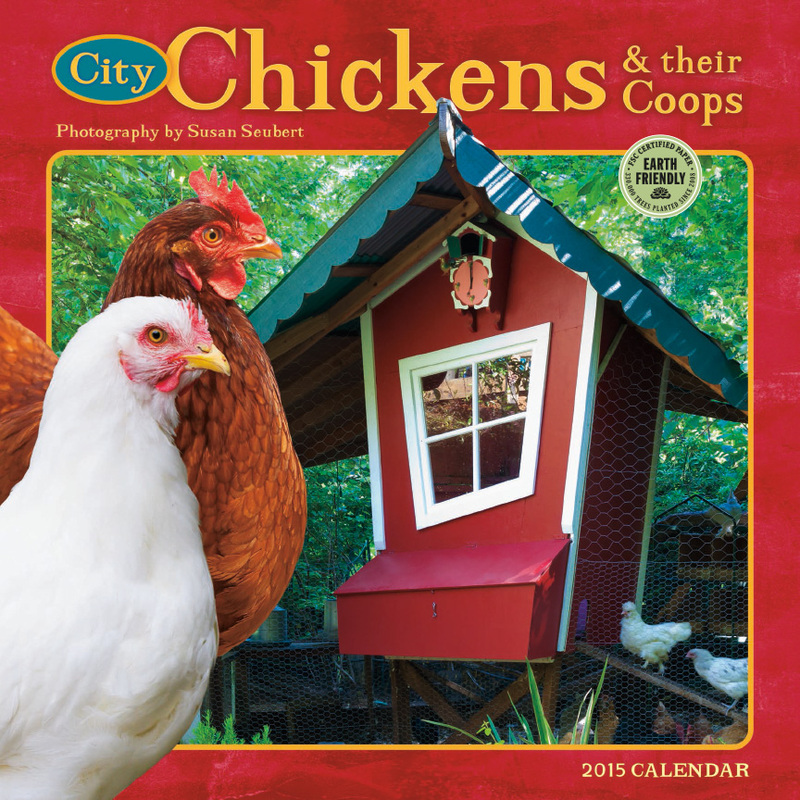 for our 2014 City Chickens and their Coops wall calendar. This is your opportunity to strut your stuff – and your chickens’ – and help Portland’s own Growing Gardens organization at the same time. Be one of 12 featured coops in this beautifully photographed treasure of unique coops and their feathered inhabitants. by Wednesday, June 27, 2012. Finalists will be notified July 5. This entry was posted in Kitchen & Gardening, Pet Care, Photography, Urban Farming and tagged City, Coops, farm on June 14, 2012 by Amber Lotus Publishing.